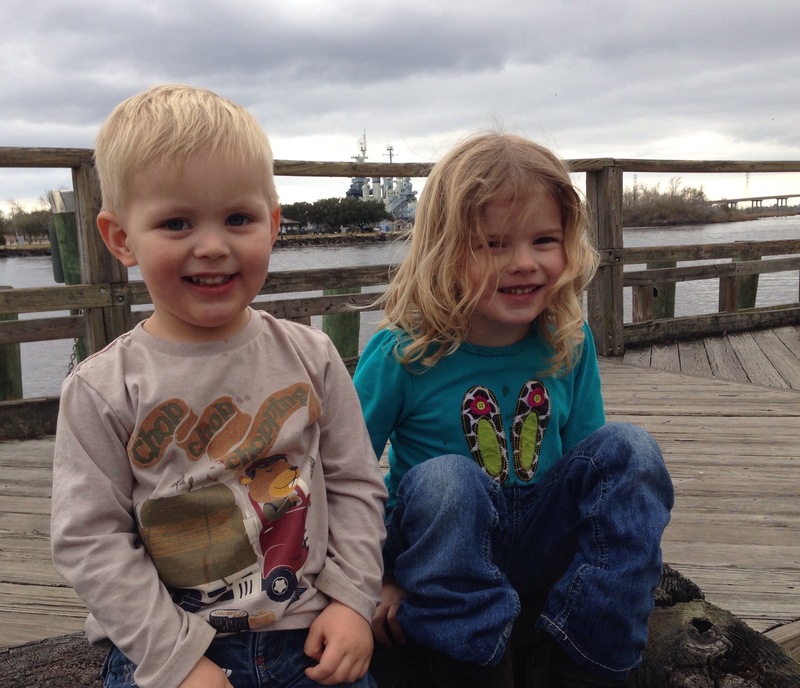 This week we stayed with our friends in Wilmington, North Carolina. They have a daughter who is a little older than James, and the two of them have been alternately the best and the worst of friends. Bedtimes have been earlier than last week, when we were in Chicago, and we’ve had a story every night except Monday, when James was so tired he snuggled with his Daddy and slept on the sofa. We had been to the Power of Play, which is a little toy town for pre-schoolers, and was lots of fun. 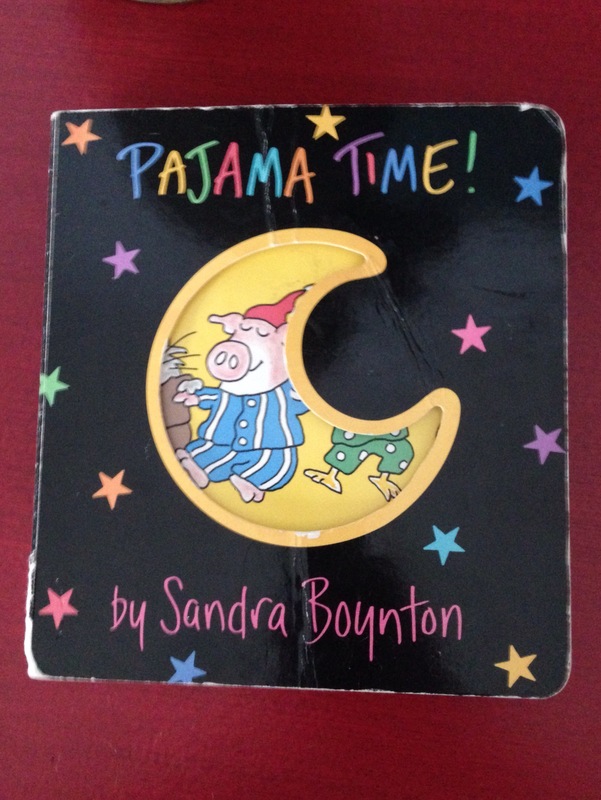 Tuesday night we read Pajama Time! By Sandra Boynton. We have a few of Sandra Boynton’s books as apps on the iPad, so it was good to read the physical book, but see familiar characters. This is a bit of a song; you can’t help but sing or rap while reading! Great book. It tells the story of getting dressed in pjs and getting ready for bed. 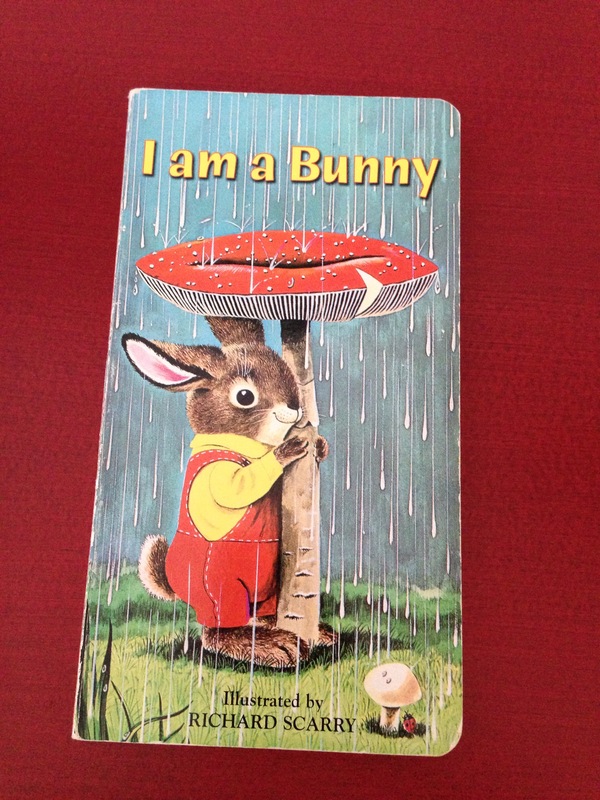 On Wednesday we read I Am A Bunny, which is a classic I remember from my childhood. This is a story all about a rabbit named Nicholas. Nicholas enjoys chasing butterflies, and he hides under toadstools when it rains. It’s so cute, and James loved to have this book over and over until he fell asleep. On Thursday we enjoyed a book from a McDonald’s happy mea: Pete the Cat and his Magic Sunglasses. Our flights from Wilmington got cancelled, then we got diverted miles and miles out of the way. Our afternoon in Washington got completely postponed! This book came with a pair of blue glasses, so James could wear them while we read the book. I’d heard wonderful things about Pete before, but sort of thought the books were too old for James. I was wrong. Pete is a little trippy and cool, and James loved the story! Check out the Harper Collins website for Pete the Cat features like videos, songs, and activities. On Friday we got back to the hotel just in time to get something to eat, and while it was cooking we read one of the many fabulous books in the lobby. I think it’s rather nice that they have Good Night Washington DC. 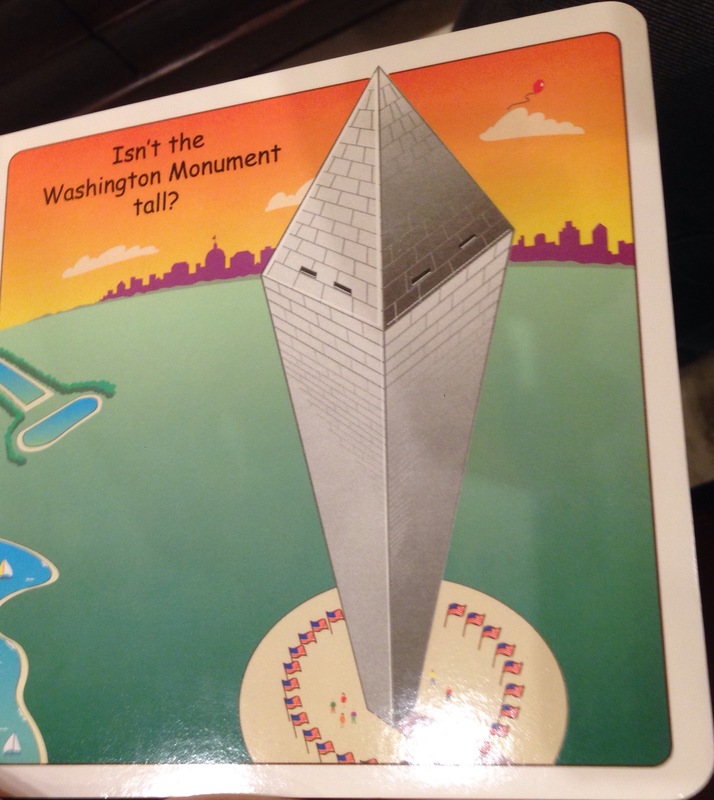 ﻿We had seen a few of the special places mentioned inside the book, and James said, “we’ve been there!” especially about the Washington Monument, and the Air and Space museum. 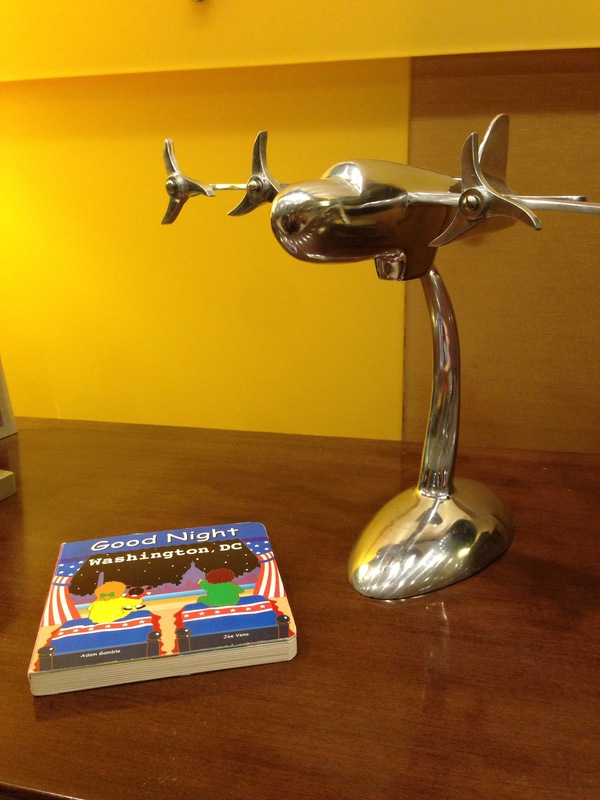 On Saturday we read Good Night Washington DC again! We went up the National Monument today, and yes, it is tall! Here’s a photo of the view looking towards the Lincoln monument. 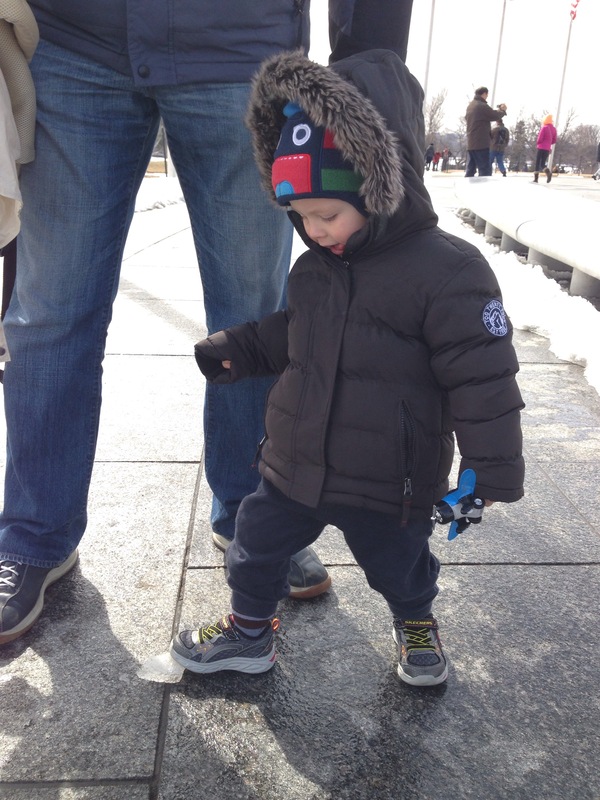 When we came down James loved stamping on the ice, and kicking little chunks along the path. I have to say, crunching the ice with my feet is one of my favourite things too! Where do you keep all of these books whilst travelling? I love it! It’s very handy to have friends at your destination! !